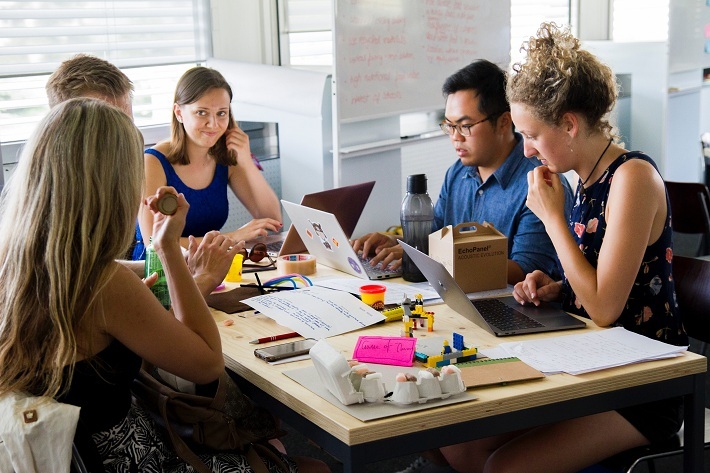 In one of our posts we discussed the 5 Benefits of Engaging Teams, and increasing productivity was one of them. The truth is that employees, even those who identify with the values of their organizations, are not always engaged. The point is that the sense of personal purpose is something increasingly present in the lives of individuals in the Information Age and is directly related to motivation at work. Therefore, it is necessary to know your internal users – your employees – in order to reach their internal and external goals. It is necessary that employees feel personally committed to the collective results. They might pursue benefits (tangible or intangible), a personalized career plan (with clear goals), they may even seek to involve personal projects related to work. There is always something they seek in their daily routines. Values count a lot. In this post, we will share some tips on how to engage your team. So, how can you motivate your team? Begin by using the power of empathy. Understand all the roles performed, draw everything in detail, and use Design Thinking tools to visualize changes whenever possible. Here are a few more tips. Each person in a team goes through moments, they have expectations, knowledge and interests. Periodically checking these “personal issues” adds complexity to the planning of team assignments and goals. By understanding each member of the team, it is possible to create activities to obtain the best productivity from each member. Before doing this, however, it is necessary to customize the rules according to personal possibilities. Thus, complying with the routine becomes more enjoyable for employees, who will, in turn, have greater resilience at difficult times. There are tasks and there are projects. Groups that are poorly led or formed by disengaged members end up getting lost in the tasks when they do not know what are the purposes of these activities. They sometimes act on autopilot, thinking only of completing tasks mechanically. Therefore, determining clear (micro and macro) criteria and managing demand efficiently are initiatives that encourage individuals to act as business owners. Every member is a leader with a specific responsibility, and should be encouraged to seek excellence and security in what he does and be respected for it. Act as a facilitator and contribute to the achievements of each member of your team. One of the main reasons that lead to employee frustration is the lack of acknowledgement for good work. Such actions encourage engagement – sometimes even more than money itself. Acknowledge individual and collective achievements and ensure that this is pushed forward. Being a truly innovative company requires tenacity and openness. These qualities come from top to bottom, through actions aimed at constant improvements, such as Co-creation Workshops, Innovation Projects, Hackathons, and several other actions of innovation management that can be applied to the physical spaces and the daily routines. Read also – Does your company need a culture of innovation? Innovation is like a trigger whose fuse generates energy and growth for everyone involved. Be the example! Do not make unsubstantiated promises, since a false reward is worse than no reward. If a salary increase is not possible, consider a bonus at the end of a successful project, and other ways that satisfy both parties. Give meaning, something that encourages team spirit, which adds to the needs of the company, the team, and all parties. Build your team, and always visualize the moment in which each “player” is. We shared a few broad tips, but it is always worth mentioning that each organization has a different context that needs to be understood and analyzed. From the challenge of engaging teams, it is possible to promote immersion and develop a deeper study of the profiles of the stakeholders involved – in this case, the employees of your company. With the results of this analysis in hand, it’s time to develop ideas to keep them engaged and motivated.